We’re sourcing food as fresh as the taste! The Calgary Zoo continues to break ground in food sustainability practices with the recent recognition of two significant designations. Just this past month, the zoo became the first tourist attraction in Canada to be certified as Leaders in Environmentally Accountable Foodservice (LEAF), as well as 100% Ocean Wise. When members and visitors dine at the Calgary Zoo, they can find a wide variety of food selections to choose from. 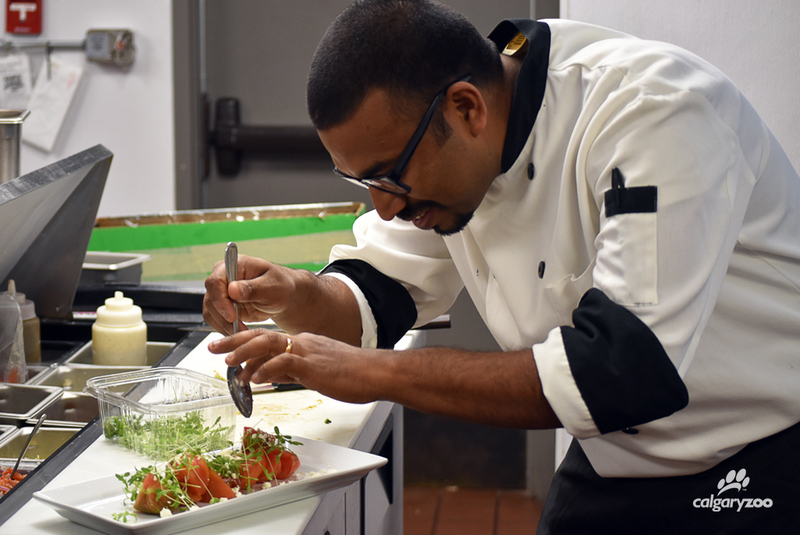 Whether eating classic restaurant fare like burgers and chicken fingers, or munching on an array of freshly made salads and wraps, it’s not easy to enjoy eating local and sustainably-sourced food. 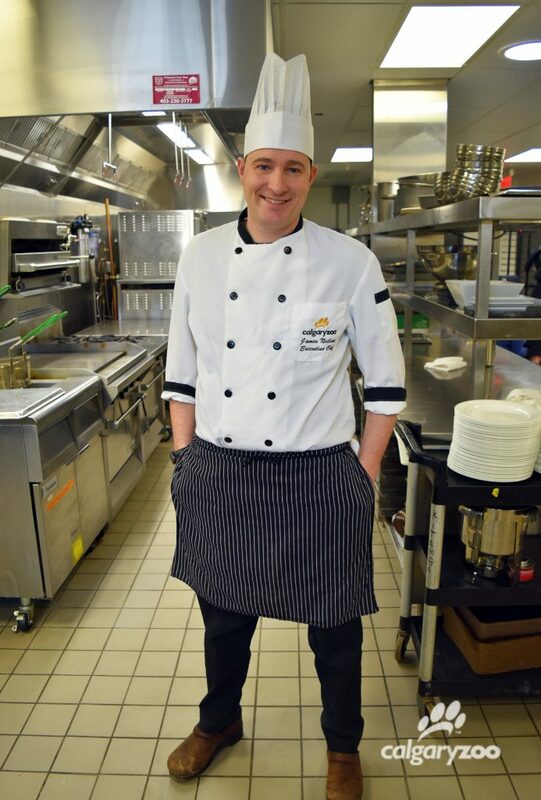 Executive Chef James Neilson is always searching for ways to improve the zoo’s sustainable food practices. One recent accomplishment James Neilson celebrated was the Calgary Zoo’s new designation as 100% Ocean Wise. In food preparation for Kitamba Café, all concessions outlets and catered events, the zoo will only be using sustainable fish and seafood. Overfishing is the biggest threat the oceans face today and by sourcing from organizations that take pride in sustainable fishing practices and careful harvesting methods, the zoo remains steadfast in its commitment to ensure the health of our oceans. Through a stringent evaluation process, the LEAF certification ensures the zoo is reducing energy, water and waste in its on park restaurants and concession stands. 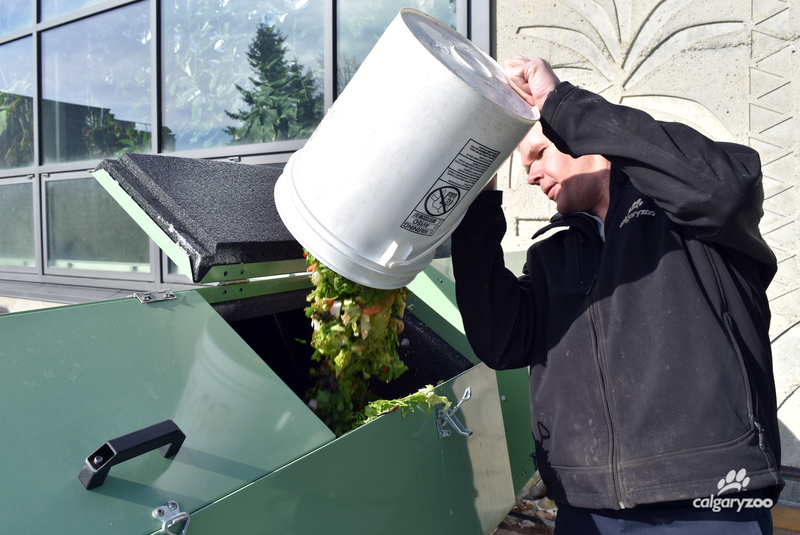 This achievement recognizes the zoo’s practices in sourcing locally produced food as well as initiating the three-stream sorting system for composting, waste and recycling in both front of house and back of house operations. 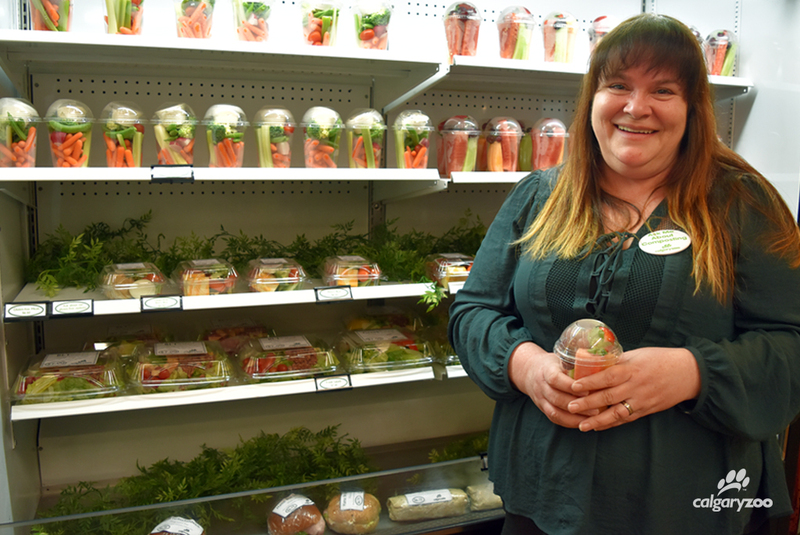 We asked Carmel Nicholls, Concession Operations Manager, about the process of preparing for LEAF. Q: Do you have a food or sustainability philosophy? What is it? Q: What sustainability accomplishments have you made at your restaurants that you are most proud of? Q: Why do you think sustainability is important in the restaurant industry? 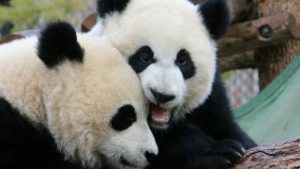 The Calgary Zoo has started a new pure organics compost program. Q: What are the benefits of LEAF certification for the zoo? Q: What sustainability goals are you striving to reach in the future? Learn more about the zoo’s conservation and sustainability work. You can help with just a visit- admission to the zoo supports these initiatives.